Have you enrolled for summer semester at Rhine-Waal University? 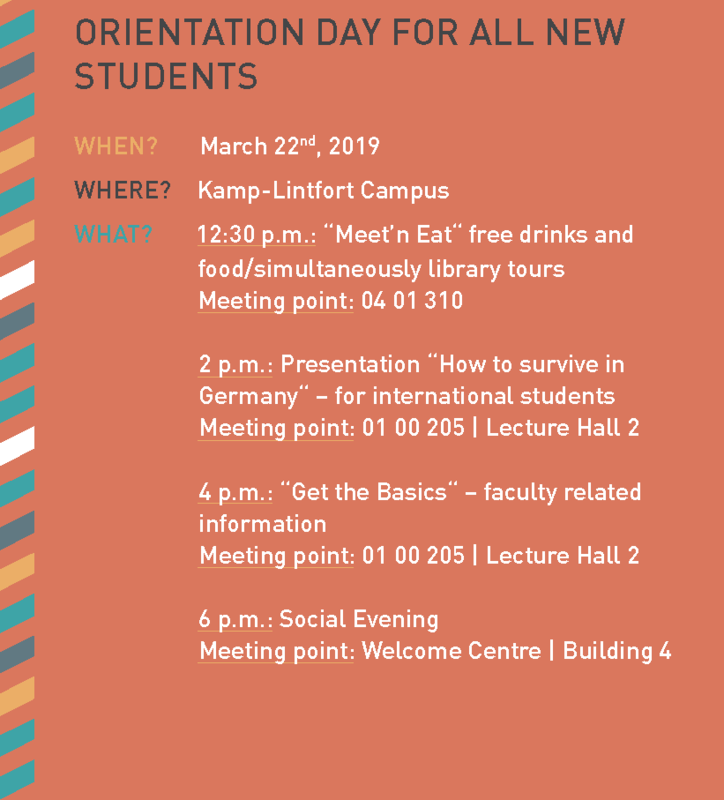 Then come to the Orientation Day on 22nd March 2019! 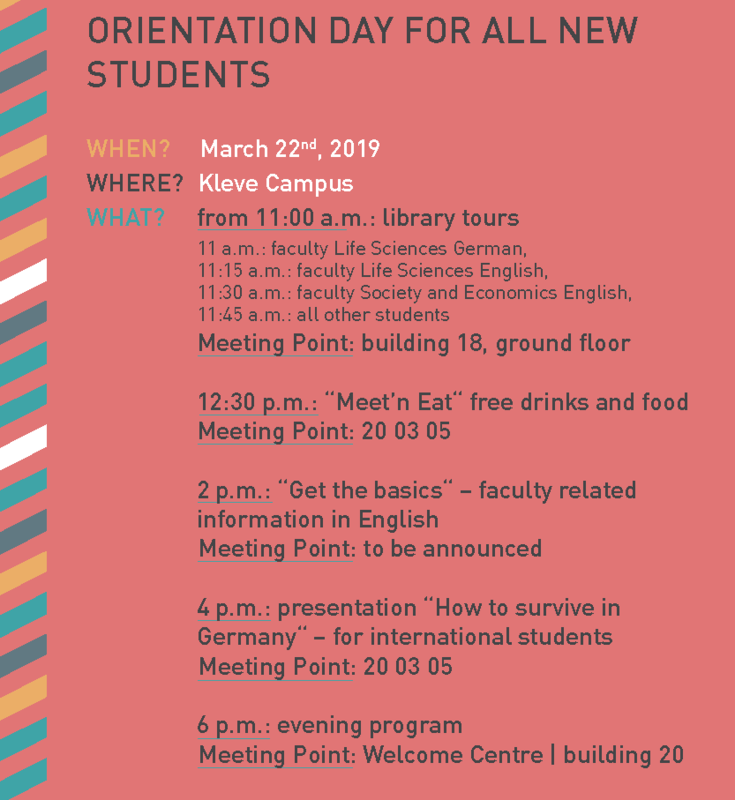 Get to know your colleagues and learn the first basics about the University as well as living in Germany.